IT technician Perth have been highly in demand because of the rise of many businesses. It’s undeniable that they are crucial in order for businesses to succeed. adapted the use of technology in their business operations. Now, the real challenge for business owners is whom to choose among many companies who offer IT services. It is difficult because of many options in the market and some are not even reliable. Choosing IT technicians who will help you succeed is a complex endeavour. You need to get the best among the rest, and that is choosing Aleph IT technician Perth! 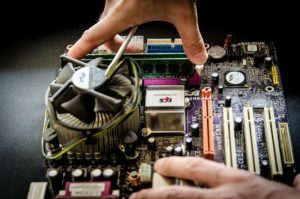 We can assure to give you quality and effective solutions to your IT concerns with our expert computer repair technician Perth. We will do the work for you because we want to save you from the hassle! At Aleph IT, we train our technicians to reach their fullest potential. Furthermore, they are knowledgeable on setting up new equipment and hardware. Apart from that, their interpersonal skills provide them enough knowledge to handle you during troubleshooting and fixing IT-related issues. Whether your business is old or just starting up, we cater to all of your IT needs. At Aleph IT, you will experience change that will bring about success for your business. We make sure to give you the best at a lesser price. We provide easy mode of payments and we can help your business boost its return of investments. Do not waste your time with mediocre IT services. Call us for more information and services about IT technician Perth! This entry was posted in Aleph IT Services and tagged expert it technician, it technician, it technician perth.